For some people, the Thanksgiving holiday is a source of stress. Whether it’s the hosting responsibilities, the cooking, the traveling, or dealing with family, it is perfectly normal to feel a bit overwhelmed this time of year. In preparation for the big day, we’ve come up with 7 tips for managing your time and minimizing stress this holiday. 1) Prep Early: Much of the day’s stress comes from preparing such a large meal. Lighten the cooking load, by preparing certain items a day or two ahead. Things that work well for this include, veggie chopping (onions, carrots, etc. ), pies, bread doughs, and baked goods. 2) Use a Cooking Timeline: Having a set timeline or schedule for when dishes will be made can assist in keeping you on track. We’ve developed our own version, called The Turkey Timeline, which is available in our printable Holiday Planning ebook. 3) Clean as You Go: In order to minimize the after-dinner cleaning efforts, attempt to clean as you go. You should also aim to have a load of dishes running in the dishwasher before you sit down to eat, so you will have an empty washer to use after the meal. 4) Enlist Help: Just because you are the chef in the family doesn’t mean you have to do everything by yourself. Enlist help (children, partners, family members) for tasks that are easily handled, such as setting the table, taking out the trash, or organizing the beverage station. 5) It’s Okay to Cut Corners: While we would all love to play Martha Stewart for the day, sometimes it’s unrealistic to think that everything will be made to gourmet standards and from scratch. Cut corners with things like frozen pie crusts, pre-chopped veggies, and pre-purchased Honey Baked Hams. You can also utilize a YouTube video trick for pealing potatoes that cuts the prep time down to practically nothing. 6) Schedule Personal Time: Don’t forget to schedule in time for things like getting dressed and showered, socializing with friends and family, and having fun. Taking a few minutes away from the kitchen can help you relax and make the day more enjoyable. 7) Oven to Table Strategy: Whenever possible, cook items in the dishes you will serve them on. 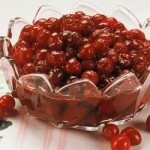 For example, if you are cooking a side dish, make sure that it’s already in the presentation dish you will later use. This will cut down in time needed for transferring items around. We hope these tips assist in making your Thanksgiving a happy and efficient one. Happy New Year! I hope that your holidays were relaxing and organized. So many of my clients have such tremendous energy towards getting organized in the new year, and the momentum is truly inspiring! As the month of January gets underway, though, it is time for all of us to face the music in getting to our goals. I thought I’d take a moment to share 10 tools that can help you fulfill your resolutions in 2012 and beyond. I use each of them in my own day-to-day life, and I often encourage my clients to use those that are right for their organizational styles, as well. Read on to set yourself up for success! 1. 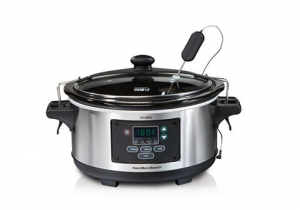 Slow Cooker: Cooking at home is a great way to save a significant amount of money, as well as to eat healthier meals – two goals that are on most resolution lists every year. But often we find ourselves just too exhausted when we get home to prepare a full dinner, especially in the cold winter months when it gets dark earlier in the evening. A slow cooker is an age-old solution to this problem and requires a small amount of prep time. You can even prepare the contents of the next day’s meal the night before while you’re watching TV, rather than the moment you get home. In fact, I love to marinate my meats and veggies in the pot overnight (in the fridge) and simply pop it in the heating unit before I leave for the day’s activities. I like this model by Hamilton Beach because it has a timer option that switches to “Warm” mode when it’s completed its cooking cycle. Nothing feels and smells better than coming home to an already home-cooked, warm and hearty meal after a long day working! 2. 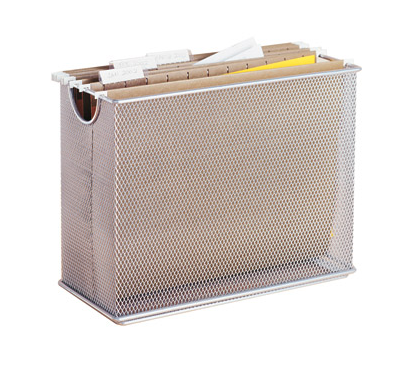 Grid Organizer: The GRID-IT Cocoon Organizer is one of my favorite portable and storable organizational products. I recommend it to my clients and often give it as a gift at the holidays. Not only is it perfect for travelling in your carry-on or your purse, it’s also perfect for organizing small things around the house like earphones, cell phones, etc. 3. Purse Perfector: Chances are you’ve heard me go on and on about the wonders of the Purse Perfector, and there’s a reason! As we mentioned in our past post, Power to the Purse: How to Keep Your Handbag Organized, the Purse Perfector is a removable pouch with several pockets to hold all of your handbag must-haves. Not only will you know where things are in your purse when you need them, but you’ll be able to change handbags easily by simply moving the Purse Perfector over to tomorrow’s bag. A clean and de-cluttered handbag brings you one step closer to an organized New Year. 4. Closet Shelf Unit: Recently, I re-organized my own closet at home, and I put in this shelving unit from ClosetMaid Cubeicals to hold non-hangables. 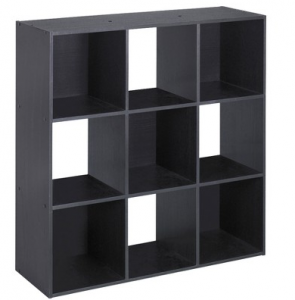 I recommend this 9-cube organizer to almost every client to organize any room in the house – from playrooms to home offices – but I have been particularly happy with it as a closet unit. City living can mean limited space for storing items like socks, under garments, t-shirts and exercise clothes. You can find it at target.com, and it is usually on sale about once a month. Give this unit a try to keep your closet and your clothing looking their best! 5. Cable Cord Holder: Sometimes it’s the little things, like hundreds of electronics cables tangled under your desk or plugged into your wall, that can make your home seem completely messy and cluttered. I stumbled upon Blue Lounge’s CableBox and CableBox Mini last year and have since used them in my own home. What a difference! The bright colors add a little pop to my home office, and all cords are nicely streamlined and hidden. 6. Winter Sales: New Years resolutions aren’t just about the beginning of the year. I also like to think ahead to the last half of the year and what I’d like to accomplish. Winter sales are a great way to stock up on gifts, wrapping paper, holiday cards and decorations at extremely discounted prices. Try target.com or momastore.org. Come next holiday season, you’ll already have new materials to work with and you won’t have to spend a small fortune to prepare! 7. 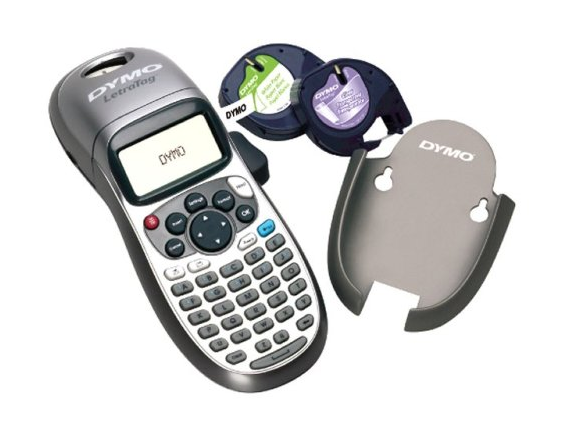 Labeler: My go-to organizational accessory is the Dymo LetraTag labeler. I use it every single day with all clients and in my own home. Labeling drawers and compartments, folders and office supplies, boxes and storage bins, etc. is a key to successfully organizing and staying that way. The label serves as a reminder of what goes where, and you’ll be less likely to let things sit out or go in the wrong spot when you see them. 8. Mail Processing System: Mail has a tendency to pile up in many of my clients’ homes. Not only does this look messy but it can also lead to missed bill payments. To solve this problem, I encourage people to keep a table top file in an obvious place to sort your mail. Keep one similar to the picture below on your front table or the surface where you always drop your bag and keys when you walk in the door. The sorter is the first thing you’ll see, so it encourages you to open your mail right away and sort it according to the actions you need to take with each. 9. Night and Morning Routine: One tool you can’t buy is time. But I can at least give you a few tips for how to get more of it on your side! I have found over time that a morning wake-up routine and an evening wind-down routine keep my mind calm, organized and ready for a productive day or a restful night. At night, I like to prepare myself for the day ahead, followed by a little me-time-down-time. I’ll look at my agenda and set out my clothing and make-up for the next day. I’ll then take a little time to read before heading to bed. Then in the morning, I can easily get ready and spend time with my coffee with a clear head and organized intentions. 10. Lug Bag: I’ve had a Lug tote for a few years now, and I simply love it as a carryall for carrying my clothing and shoes to the gym. This durable bag has a compartment for your shoes in the bottom of the tote that keeps them away from your clothes and has a breathable mesh cover. 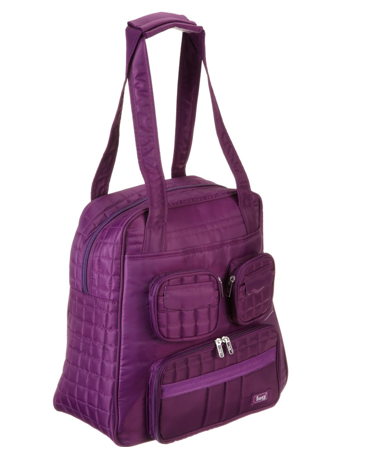 The main compartment has enough space to hold your clothing and iPod, and side pockets hold your water bottle and a snack! If one of your resolutions is to spend more time being active, this tote helps you do so with style and ease. 10 new tools is a lot to add to your daily life but integrating two or three into the mix at a slow but sure pace can really improve your chances for lasting organizational success this year. I go into greater detail on a few of these items on my latest TV segment with Shaunya Chavis and Kimberly Kennedy of The Chat Room… Good luck and happy organizing! It is officially December, which means the gift-giving season has begun. For some, holiday gifting can be stressful due to the money and time required to purchase, wrap and ship out your gifts to all of your loved ones. Don’t fret! The Well-Organized Woman is here to help you plan for a stress-free holiday season with these organizational gift-giving tips! Timeline - Identify which gifts are ‘due’ when so you can work backward from those deadlines to build your oganized gift schedule. 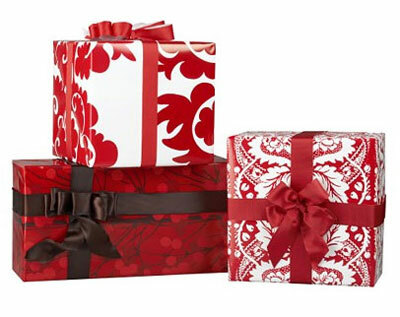 For those gifts that need to be mailed to the recipient, allow 1 week for mailing and 2 days for wrapping. In other words, if your gifts need to arrive by the 23rd, begin wrapping them on the 14th and mail them out on the 16th. For those gifts that you’ll be ordering online and sending directly to the recipient, make sure to order at least one week before you’d like them to arrive. If they are coming to you first before you mail them out, make sure to order them with ample time for them to come to you, get wrapped and then be mailed out. In fact, you may want to get started on ordering those gifts this week! And finally, for those gifts you’ll be presenting in person, I’d recommend having them wrapped up two days before giving – simply for peace of mind so you aren’t rushing to complete your wrapping. Set a mini budget for each person on your list – start with the amount you have to spend overall and then designate an amount or a percentage of that to your giftees. You’ll be surprised how creative you can get when you have parameters around how much you can spend. Set an overall budget for the whole group of recipients. This can be tricky, though, as it’s easier to go over or lose track of your expenses in the moment. I recommend budgeting by person within your overall budget. Allow yourself just a touch of leeway for each person. $5 of ‘invisible’ budget built in for each person can save you from going way over. Don’t forget to budget in the supplies you’ll need, including wrapping paper, scotch tape, scissors, to/from labels, postage, stickers, ribbon, boxes, bubble wrap, packing tape, etc. These things can get pricey! 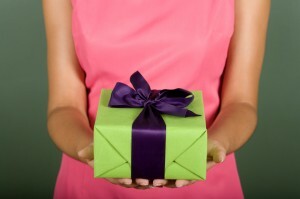 Shopping List – To the extent that you can, make a shopping list for the gifts you’ll be buying. Like an ambiguous budget, an ambiguous list can lead you to either buy more than you need or buy something that just isn’t right. If I’m just not sure what to get for someone, I’ll ‘window shop’ online first to get a sense of what I might want and then head to the stores to see what I can find. Shop- Online or In-Store? Well, that’s up to you and your preferred shopping style! Over the years, shopping online has become a convenient way to take care of all of your holiday gift needs. You can avoid the crowds and often get great deals through a company’s internet store. However, a good old-fashioned shopping trip can also get you in the spirit and save on shipping costs, which can add up quickly. I like to mix it up and do a little of both. For those friends/family who I won’t be seeing before the holiday, I’ll buy their gifts online, select the store-wrapping option and send them directly to the recipient. For those I’ll be seeing face-to-face, I’ll often buy their gifts from stores – it helps to see and hold the gift while visualizing them opening it up. Wrap – Now for the fun part! I love wrapping gifts and have such a blast picking out the papers I’ll use each year. Wrapping paper can be pricey, though, so I always go to my stash from last year to see what is left. I use that paper to wrap gifts for people who are new to my list because they haven’t seen that particular wrapping before. I love the Container Store for gift wrap, and Target also has great choices. If wrapping doesn’t come naturally for you, the Container Store offers in-store demonstrations and has great instructional tips on their website. Click here for ideas and for your nearest store! Ship – As I mentioned above, allow at least one week for your gifts to ship based on the date you choose for their arrival. Also, buying your own packing supplies can save you a lot, as many shipping centers charge quite a bit to use their supplies on the spot. As for which shipping service to use, that is certainly up to you. Personally, I have had great luck with FedEx Ground shipping and do recommend the service. For additional advice on gift giving for all of the people in your life – even your hairstylist and your mailman – check out The Well-Organized Woman’s TV clip from CBS Atlanta! Best of luck in your gift-giving endeavors! Given that Thanksgiving is just a day away, I thought I’d take a moment to share a few of my favorite recipes I’ve used over the years at this holiday, just in case you’re in need of some last-minute menu organization. My recipes are all quite simple and are often borrowed from other sources, including the back of the bag the main ingredient is in! Enjoy! 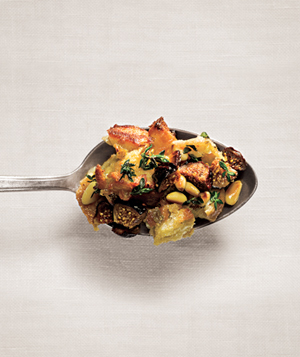 Fig & Pine Nut Stuffing - from RealSimple.com, this recipe has the hearty flavors of fall, and the figs add just a pinch of sweetness. I recommend making this recipe the night before or the morning of Thanksgiving before you start on the turkey. You can always warm it up just before everything goes out on the table! Heat oven to 375° F. Butter a 9-by-13-inch baking dish. Divide the bread between 2 rimmed baking sheets and bake until dry and crisp, 10 to 12 minutes. Meanwhile, melt the butter in a large skillet over medium heat. Add the onions, celery, 1 teaspoon salt, and ¼ teaspoon pepper. Cook, stirring occasionally, until very tender and beginning to brown, 10 to 12 minutes. Add the wine and cook until evaporated, 2 to 4 minutes; transfer to a large bowl and let cool for 10 minutes. 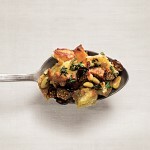 Add the bread, broth, eggs, figs, pine nuts, thyme, and ½ teaspoon salt to the vegetables and toss to combine. Transfer to the prepared baking dish. Cover with buttered foil and bake for 20 minutes. Uncover and bake until browned, 20 to 30 minutes more. Sweet Potato Casserole – Who doesn’t love sweet potatoes on Thanksgiving?! This recipe, from the southern food section of about.com, adds a lovely sweetness to your plate, and it makes the house smell amazing while it’s baking! Combine first 6 ingredients. Pour into a buttered 1 1/2 to 2-quart casserole dish. Mix remaining ingredients together and sprinkle over top. Bake at 350° for 30 to 40 minutes, until hot and browned. Serves 6 to 8. Green Bean Casserole – This recipe is from allrecipes.com. It’s a lovely variation on the traditional Campbell’s soup recipe. In fact, I like it better! I still use the fried onions because I love their flavor and texture. Simply substitute ~1 cup in place of the crackers below. Melt 2 tablespoons butter in a large skillet over medium heat. Stir in flour until smooth, and cook for one minute. Stir in the salt, sugar, onion, and sour cream. Add green beans, and stir to coat. Transfer the mixture to a 2 1/2 quart casserole dish. Spread shredded cheese over the top. In a small bowl, toss together cracker crumbs and remaining butter, and sprinkle over the cheese. Bake for 30 minutes in the preheated oven, or until the top is golden and cheese is bubbly. 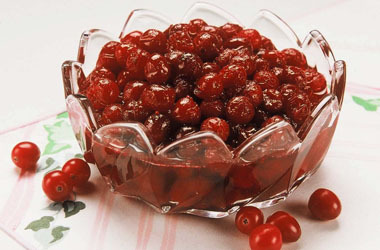 Cranberry Sauce - Though it’s right off the bag of the Ocean Spray cranberries, this recipe is one of my favorites and has always been a welcome addition to my plate – especially on a piece of turkey! I like to make two batches the night before Turkey Day and save one to go with all of our leftovers! Combine sugar and water in a medium saucepan. Bring to boil; add cranberries, return to boil. Reduce heat and boil gently for 10 minutes, stirring occasionally. Cover and cool completely at room temperature. Refrigerate until serving time. Makes 2 1/4 cups. 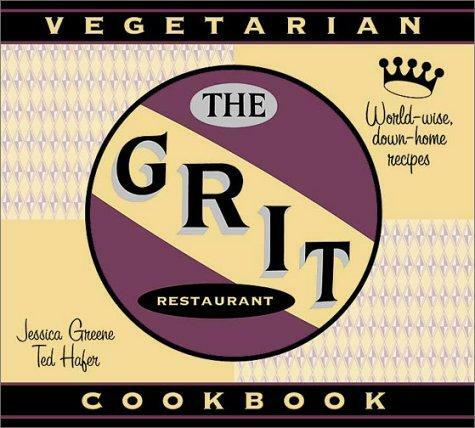 Pecan Pie – This is my favorite pecan pie recipe from my favorite restaurant in Athens, GA, The Grit! My family loves it so much, I even made extras last year and sent them as gifts! 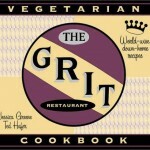 Buy the cookbook here! Preheat oven to 375 degrees. Line a deep-dish pie pan with Basic Pie Crust. In a large mixing bowl, beat together butter, sugar, and corn syrup. Beat in eggs and stir in remaining ingredients. Pour into pie crust. Place pie on large cookie sheet. Bake 50 to 55 minutes until crust is lightly browned, filling is dark brown and a toothpick inserted into center comes out clean. Cool completely before serving. Yields 8 to 10 servings. Other easy favorites include green peas and mushrooms (to add a little color to your plate), Pilsbury crescent rolls (so warm and buttery) and, in a pinch, Costco pumpkin pie (it’s enormous and really tasty)! Best of luck with your holiday meals. I am thankful for each of my clients and all of my readers! 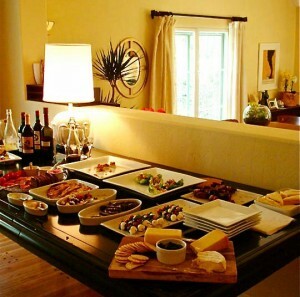 GUEST POST: How To Plan a Party — Fast! Recently, I was faced with quite the party planning conundrum. The date of my housewarming party in Brooklyn was one week away, and my significant other had just broken his arm. I knew I was on my own, on a budget and on the way to the nut house with anxiety. How on earth was I going to pull off a dinner party for 20 people that started at 8pm when I couldn’t be home until 6:30pm the day of??? By channeling my inner Well-Organized Woman, of course! Many of you will likely find yourself in similar stressful situations during this holiday season. Fear not! Read on for how I did it and how you can, too. The most important thing you can do is to plan ahead and make lists — for EVERY aspect of the party. This includes menus, grocery shopping trips and the order of operations in the kitchen on the day of your party. By giving this thought ahead of time, you will be able to rely on the schedules you create to get things done throughout the week, rather than trying to remember your to-do lists in your scattered and stressed out head the night before. Invitations: Save trees and create an e-vite. Everyone’s doing it! We also decided we would be happy to feed our friends, but we asked them to bring their favorite drink in the invitation. If however, you’ll be taking care of food and drinks, see below for how to buy alcohol smartly! Budget: Set a reasonable budget and track your expenses. Ours was $300. Try your best to stick to this plan! Supplies: ask yourself how you’ll serve the food and drinks. Plastic cups, plates and silverware make clean-up a breeze. 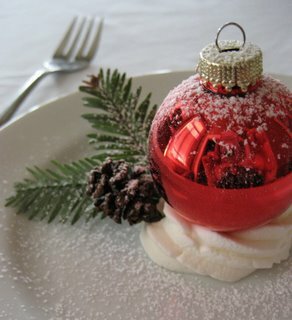 Paper napkins with a holiday theme are fun, and you can usually get a good deal during the season on them. And don’t forget cookware! Make sure you have the right pots and pans — you don’t want to be stuck without a roasting pan an hour before your guests arrive! Menus: ask yourself what you’ll serve and think about the friends who are coming to your gathering as you answer this question and make your list. For my gathering, we went casual with our food choices but did split our menu into 3 tiers: welcome snacks, appetizers and dinner. Chips, pretzels and pita with salsa, white bean dip, and spinach/artichoke dip, as well as cheese, sausage, olives, almonds and dried fruit made up our welcome snacks – they were on the table as our guests arrived. Appetizers included caprese salad, shrimp cocktail and italian meatballs with toasted baguette – they went out after everyone had arrived. Dinner was our favorite at-home meal, rotisserie chicken with seasoned rice and a unique salad that included roasted cauliflower – this went out after everyone had a cocktail or two and some snacks. For dessert, a homemade apple pie. We turned this into more of a fun group activity – some of our guests helped cut up the apples with us! Grocery Shopping by Days of the Week: Split your shopping and tasks up by days of the week and create a to-do list for each day. Work backwards in order of freshness. For the ingredients that need to be at made the same day they are eaten (rotisserie chicken, shrimp cocktail, and baguettes, for example), buy those the day of your party. Ingredients such as produce, sausages, cheeses, fresh olives and sauces can be purchased the day before the party. They will keep overnight. Dry goods (rice and pasta, chips, nuts and dried fruit) and supplies (see above) should be picked up well ahead of time. You’ll feel like you have a head start on your shopping, and these things will keep with no worry to you. Alcohol: Though we asked our friends to bring their favorite drinks, we did buy some alcohol — but we were smart about it. Trader Joe’s makes wonderful wines for $3-5 per bottle! You can’t beat that. Or try a store like Costco for great deals in bulk. HELP: recruit a friend to help you that evening. She can pour chips in bowls and cut up ingredients while you are cooking. Party Outfit: Decide what this will be and lay it out the night before, right down to the hosiery, shoes, jewelry and makeup you’ll need. Day Of: To declutter your mind, make a list of every step you need to take from the moment you walk in the door to the moment you put out the food, including getting dressed for the party. Put the responsibility down on paper! Once it’s on the list, it can be out of your mind. Here’s an example of my list to get you thinking in an organized and ordered manner.. Pull any frozen meats out of freezer to defrost that morning (example: ground meat for meatballs). When you come home, put on your party dress and touch up your makeup FIRST, otherwise, you will not have time to do it. Trust me. Since you laid it all out the night before, this should be quick and easy. I knew I had two items that needed to be prepped and baked. They had the same baking time and similar temperatures, so I took care of preparing the dishes (artichoke dip and roasted cauliflower) and put them into the oven. The rice was also set to take the same amount of time to cook, so I put that to boil at the same time the dishes went into the oven. As they baked, I chopped veggies and blended my other dip in the food processor, while my friend opened our supplies and put things in bowls on the table. Once our guests arrived, I put the rotisserie chickens (store bought) into the oven to warm them up while guests munched on snacks, ate appetizers and sipped cocktails. Dinner was then served followed by pie baking. Don’t forget to eat! We’re not sure how it happened, but the holidays are truly upon us. Halloween is right around the corner, followed by Thanksgiving, Hannukah, Christmas and New Years – oh my! Whether it’s decorating, gift-buying or entertaining, we’ll do our best to address all of your organizational holiday challenges over the next few months. Decorating your home for fall is one of the greatest joys of the season. There is nothing I love to do more when the season arrives. At the same time, it can also be overwhelming if your home is big or your budget is small. In the past, I loved to over-do it with tacky decorations for each holiday and for every room. But this year, I’m looking for a more subdued look. I don’t want my home cluttered with as much stuff as we’ve had in prior years. After all, I am the Well-Organized Woman — I must practice what I preach! Less clutter, more special. Here are a few tips for decorating your home in style without adding too much STUFF. First, take the time before you put things out and when you put them away to evaluate what you’ll trash, donate and keep/store. We’ve referenced this method in our last few posts, and you’ll see it come up again, I’m sure. One of my favorite de-cluttering experts, Fly Lady, encourages you not to think of donating items (in this case decorations) as throwing them away. Instead, bless another family in need with these items. Next, focus on the room you spend the most time in and do one decorative installation, or put one or two small things in each room. 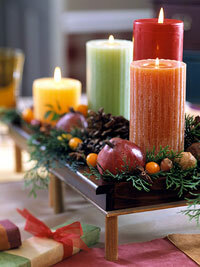 For example, turn your sofa table into a display of gourds, Indian corn and pumpkins for Halloween and Thanksgiving. Or, place a small decoration on each windowsill in every room to spread the cheer. Rather than buy a whole new set of decorations, consider what type of item you truly enjoy buying each year and go for it. For example, I love beaded coasters! Each year, I can’t wait to head to Target to see which ones they’ll feature. My sister, on the other hand, loves holiday wreaths and will splurge on a new one every year or two. Double-dip! In other words, try using food as a decoration. Seasonal fruits like apples, oranges and lemons can look elegant in a large glass bowl on your dining room table. You can also eat these items if you’re hungry for a snack! Or, try combining your standard white candles with pinecones and pomegranates for a seasonal look of things you have in your yard, your linen closet and your fridge! If you’re feeling overwhelmed, invite a friend over to help. Open a bottle of wine, turn on holiday music and make it fun! And finally, I’d like to address family traditions because I think they are deeply important. Yet, they can also feel like mental clutter if they take up too much time and effort. Rather than abandon them completely, think of ways you can modernize and streamline these traditions. For example, your family always has a full ‘the works’ Thanksgiving dinner, but you just can’t see how on earth you’ll make it happen this year. I recommend ordering at least one of your favorite dishes, if not the whole meal, from an external catering service. Or, if you always leave homemade cookies out for Santa, go for pre-made doughs that usually have a quick cook-time. By trying these simple modifications, you’ll save yourself unneccessary stress at the holidays while still keeping your traditions intact. Keep your eyes peeled for more holiday tips and tricks in our upcoming posts and newsletters, as well as on our Facebook page. We’ll be keeping you informed and organized throughout the season!